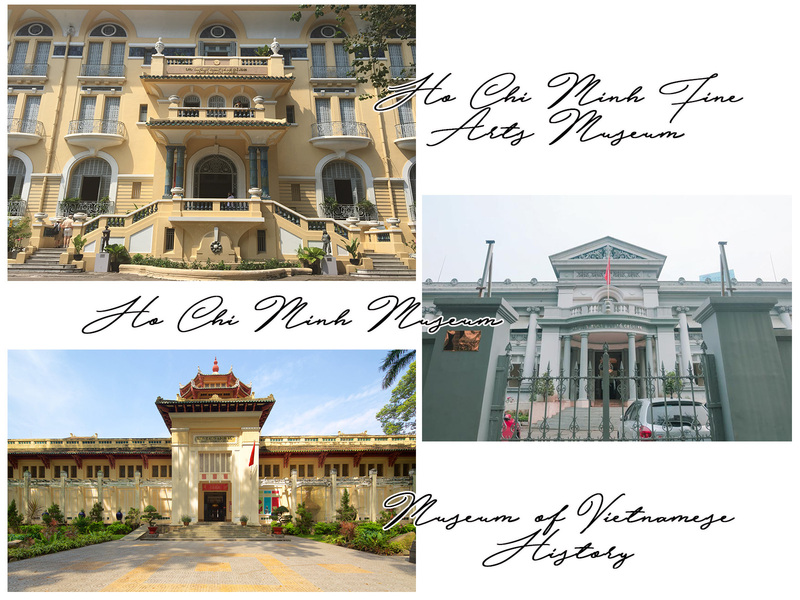 My friends would usually tell me that unless you’re in interested history wars, Ho Chi Minh City is someplace you can skip in your Indochina trip. It’s a lot like Manila or even worse, they said. I’m may not be a war enthusiast, but I’m curious enough to still book a flight to see and experience her. But I have to agree with my friends, HCM is evidently Manila’s younger sister. They have the same third-world public highways, traffic jam, friendly locals, cheap everything and, even, same scams. 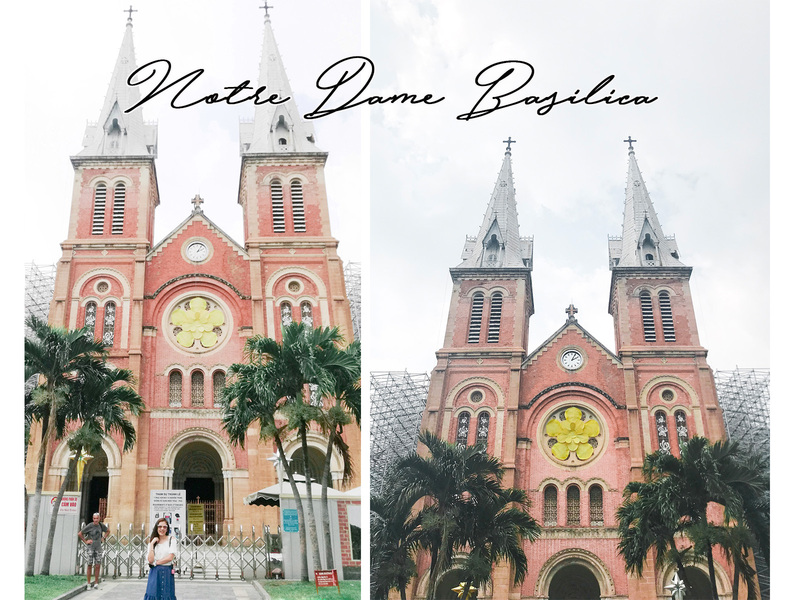 I thought HCM will be one of those cities that I’ll only visit once but nah, I had a changed of heart during the 2 days I’m there. I don’t know if it’s the coffee or the beautiful cafes or the French colonial architecture or maybe the sea of scooters on the road which is fascinating to watch. One thing I’m sure is, I’m going back someday for a longer time. 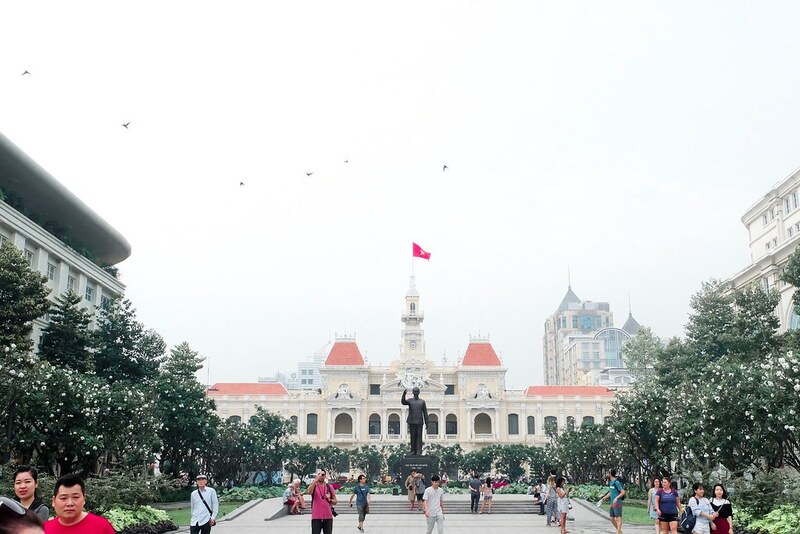 Ho Chi Minh City, or commonly known as Saigon, was once the capital city of Vietnam during the French colony. The capital city was later transferred to Hanoi after the “Fall of Saigon”, which is known to be the end of Vietnam War. Today, HCM is the most populated and central economic city of Vietnam. HCM is located in the South-eastern region of Vietnam. It is 1760 km away (33 hours travel via sleeper train) from Hanoi and 270 km away (only 6 hours travel via bus) from the capital of Cambodia, Phnom Penh. 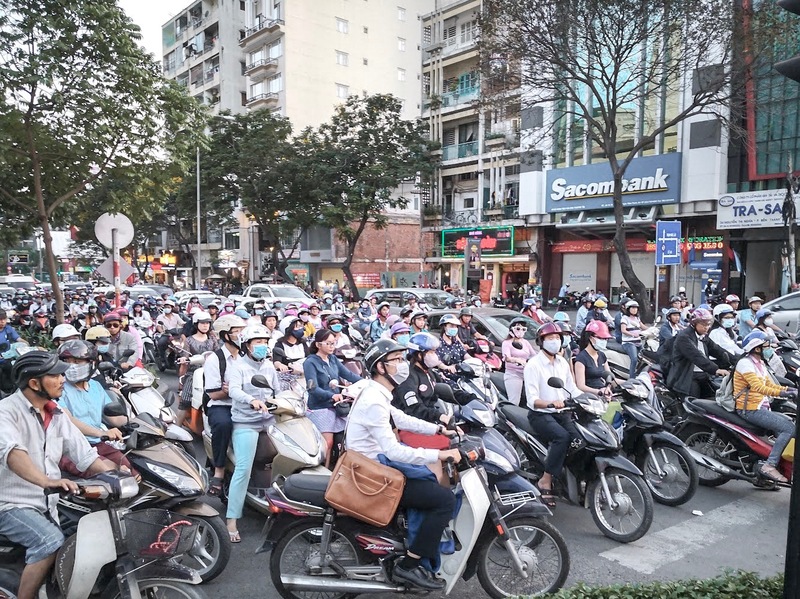 If you’re planning to see HCM-Hanoi by land, think again. Like the other Southeast Asian countries, HCM has a tropical climate and high humidity. Rainy season starts at May to October. The dry season lasts from December to April. The coldest month (and also the best time to go) would be December and January. There are 3 airlines (Cebu Pacific, Philippine Airlines & AirAsia) who offer a direct flight from Manila to Ho Chi Minh City. The travel time usually takes 2 hours and 30 minutes (there’s a one hour time difference so you might get confused on the flight’s time). For me, 4,000 PHP – 6,000 PHP roundtrip fare is an acceptable price. Anything lower is a good steal (Congratulations to you!!) and anything above is overpriced for a neighbor country visit. Here are some estimated fares from different airlines. *All prices here are when booked 6 months prior the travel dates. Seat sales are usually based on their promotional posters. 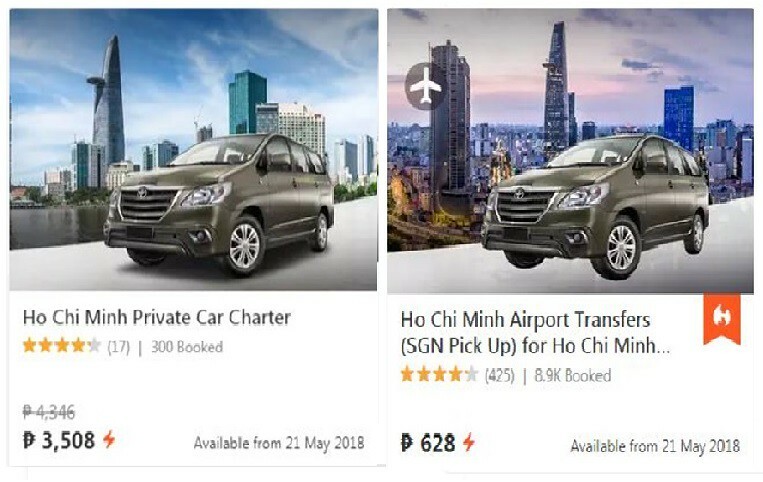 There’s no direct bus ride from Thailand to Ho Chi Minh, you can choose to ride a bus (via Travel Mart) to Siem Reap or Phnom Penh first then another bus to HCM. Compared to other Asian countries, HCM doesn’t have a metro train system (yet) thus the major transportation in the city is on motorbikes. Almost 7 million out of 8.5 million people in the city own a motorbike. Imagine that! 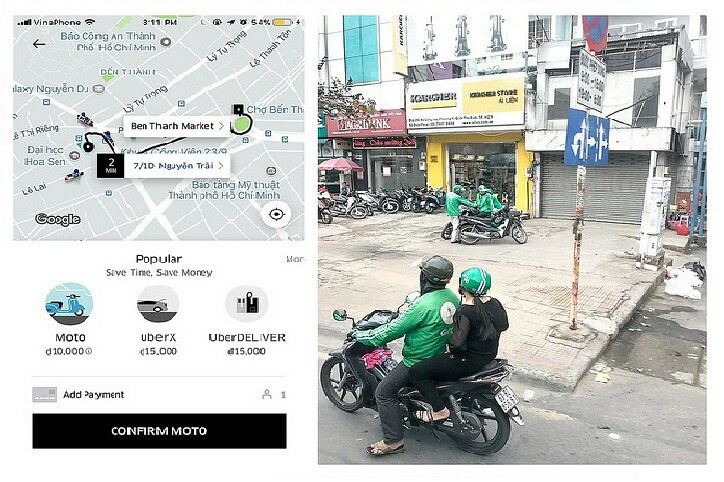 Unlike in the Philippines, Uber or Grab have motorbikes that you can book. A 5-minutes ride can cost you around 20 – 30 PHP. They also have Uber X available that cost less than 100 PHP in 5-10 minutes ride in the city. I also used the Uber X from the airport to our hotel for 200 PHP. Uber/Grab is safer and cheaper than taxi or motorcycle taxi. 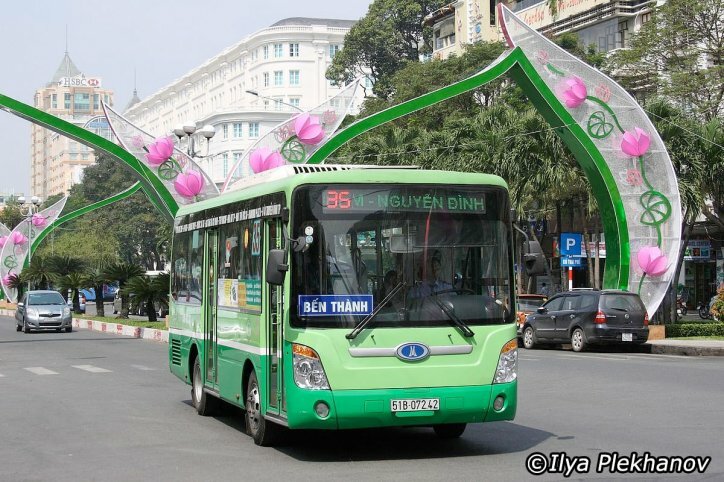 Buses in HCM is easy to spot since it has a green and white exterior, with tickets priced as low as 300 VND. It is the cheapest way to roam around the city but also is time-consuming. If you wanted to try this mode, make sure you have an internet to access Google maps. Google maps can tell you what bus numbers and routes to take. There are also available airport buses, the yellow ones, that offers shuttle service from Tan Son Nhat Airport to the city center. It is a lot cheaper than airport taxis. If you’ll arrive in HCM before 12:30 midnight then take the BUS#109 for 20,000 VND. 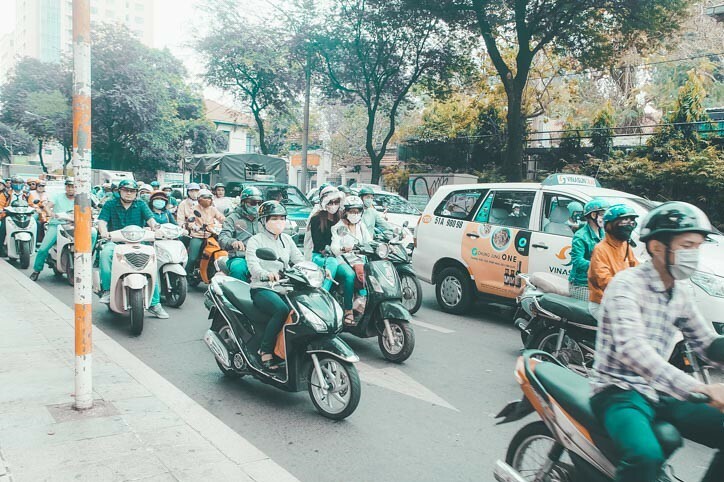 Taxi is the easiest way in getting around HCM but you have to remember that the city is also known for its taxi scams. Standard taxi fare starts at 10,000 – 15,000 VND, with every km priced at 6,000 VND. I personally didn’t try taking the taxi but if you’re gonna do it, stick with the legitimate taxi companies like Vinasun and Mai Linh. If you’re not a fan of public transportation and can afford some luxury travel, then book a private car via Klook. 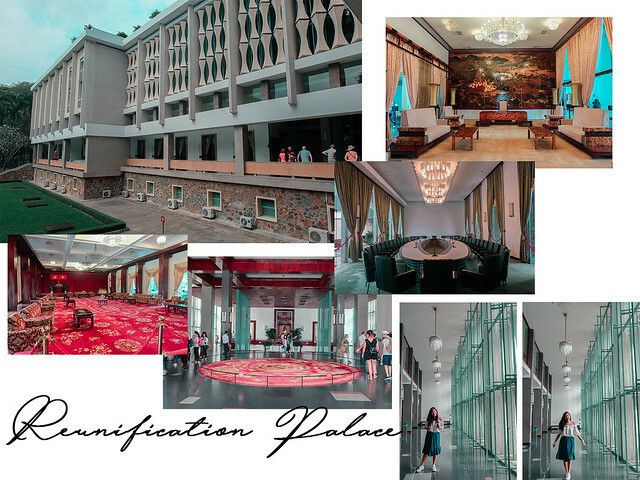 It is comfortable since you’ll have your own chauffeur and air-conditioned car amidst the Ho Chi Minh City heat. Also, it is efficient since you don’t have to worry about getting from one attraction to another. Just give your own itinerary to the driver and, voila, you’ll be driven like the queen to those places. This package is quite flexible. You can choose between half day (6 hours) for 3,500 PHP or full day (12 hours) rent for 4,600 PHP. They also have different vehicles depending on your party- group of 3, 5 and 12! If you’re travelling with a big group the I advise you to take this transportation. We booked the triple room in this hotel for 3 nights for 5,000 PHP (~100 USD) in Agoda which is for me worth it since it has a good location, free breakfast and clean private room. The location is nice because the area seems awake even at midnight that it not seems scary at all to walk alone. The hotel is inside a small alley so street noise is minimal but they need to improve their rooms’ sound-proofing since we can hear the corridor and neighbor room’s noise. 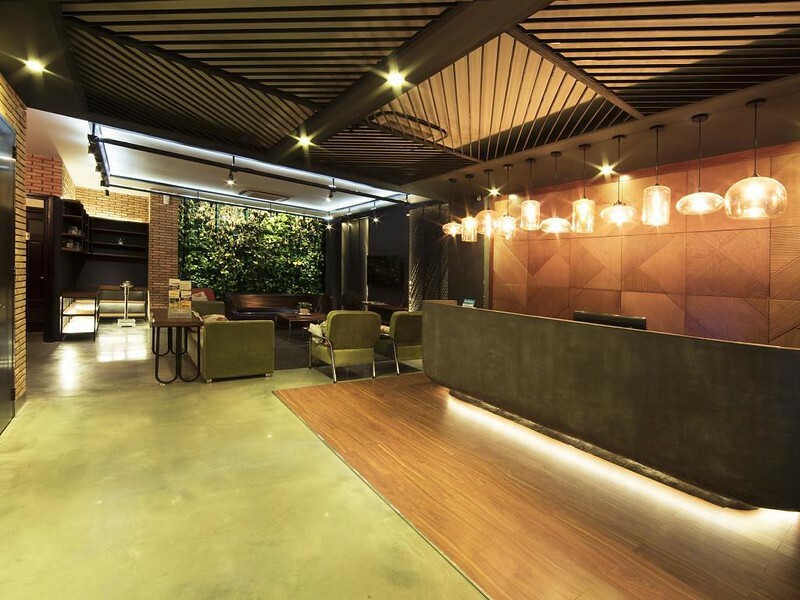 There are also a lot of cafes and milk tea cafes around and it is located near a shopping street and just two blocks away from Pham Nga Lao Backpackers Street. Tourists attractions are also just 10-15 minutes walk from here. The free breakfast is okay, just simple breakfast foods, same everyday. We tried to eat early since most of the reviews said that foods are already not refilled around 10AM. But overall, our hotel experience is good. We got a clean room, with hot shower, cable and shower kits, for 3 people. The hotel is simple, with little amenities, but since we are mostly out in the day, we only used this for sleeping. The crews are helpful, friendly and speaks good English. Since Ho Chi Minh is somehow like the Philippines in terms of inefficient public transportation, it is better to stay in District 1 where the citylife is. 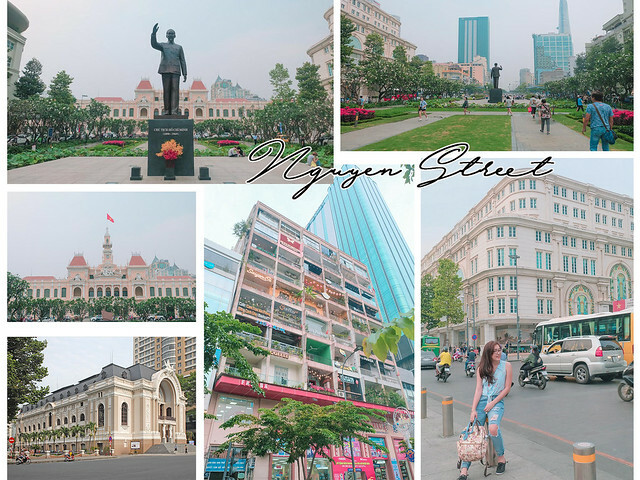 District 1 is the center district of Ho Chi Minh for it has all the entertainment and tourist attractions but it is also considered as the most expensive. If you want to stay on other districts of the city, then read this. *All hotels below are in District 1 and prices are in Philippine peso. This is where the Vietnam War ends. It is closed to tourists during the massive three year renovation project until 2020. You can only admire it now from the outside. 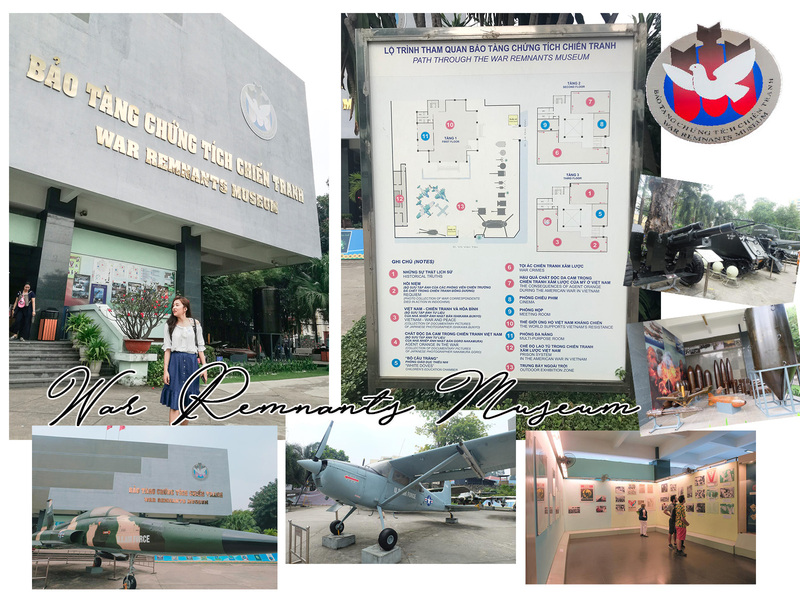 A heartbreaking museum that shows all what happened during Vietnam War. 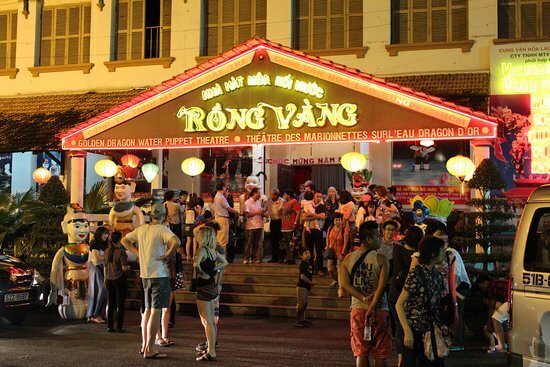 Witness a traditional Vietnamese puppet shows performed in water, with live music accompaniment. A walking street where French colonial architecture is most visible. You can see the City Hall, Ho Chi Minh statue, Opera House & Apartment Cafe here. This beautiful building is just beside Notre Dame Basilica. 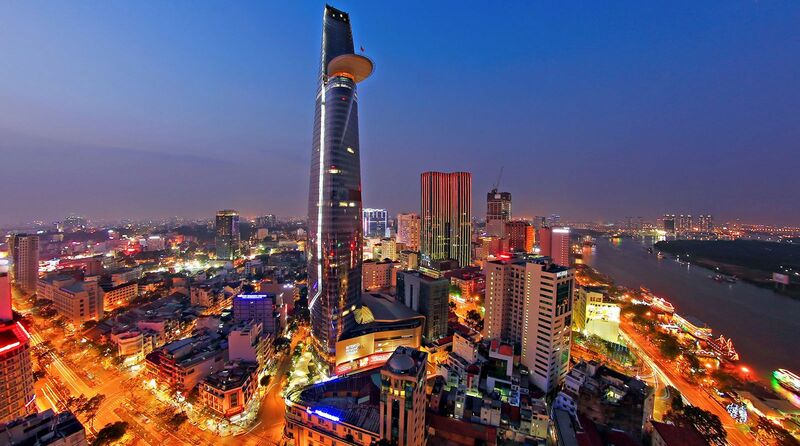 Get an amazing 360-degree view of Ho Chi Minh on its tallest building. 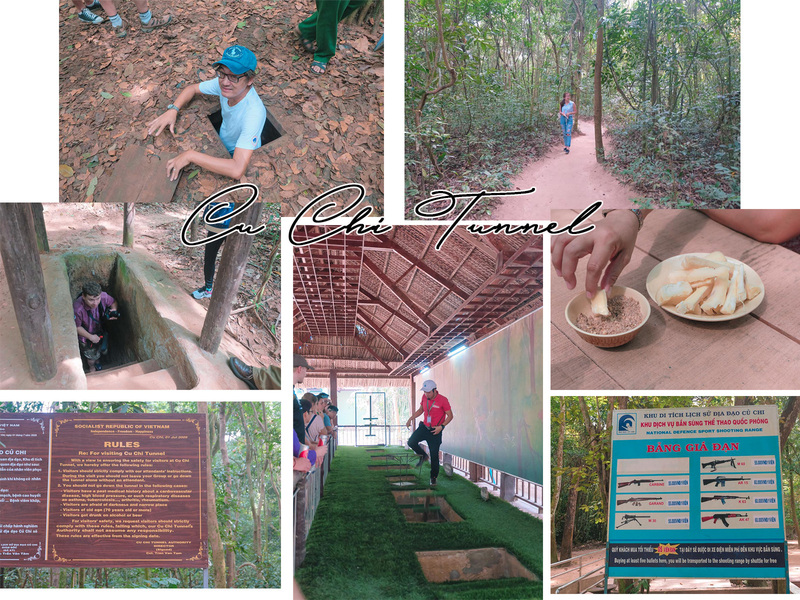 Cu Chi is two hours away from Ho Chi Minh city and is famous for the 200 km underground tunnel that the Viet Congs built during the war. The war history behind the tunnels is interesting, fascinating and heartbreaking at the same time. The highlight is crawling the tunnel yourself. This tour is also available on Klook for 692 PHP. It is one big (wet and dry) market of everything- foods, fashion, souvenirs. I was able to only roam for 30 minutes since the place is chaotic and humid inside. I’m also not impressed with the quality of bags and clothes inside. The marketplace closed at 5 PM but they have night markets outside starting at 9 PM. I actually enjoyed the night market more. 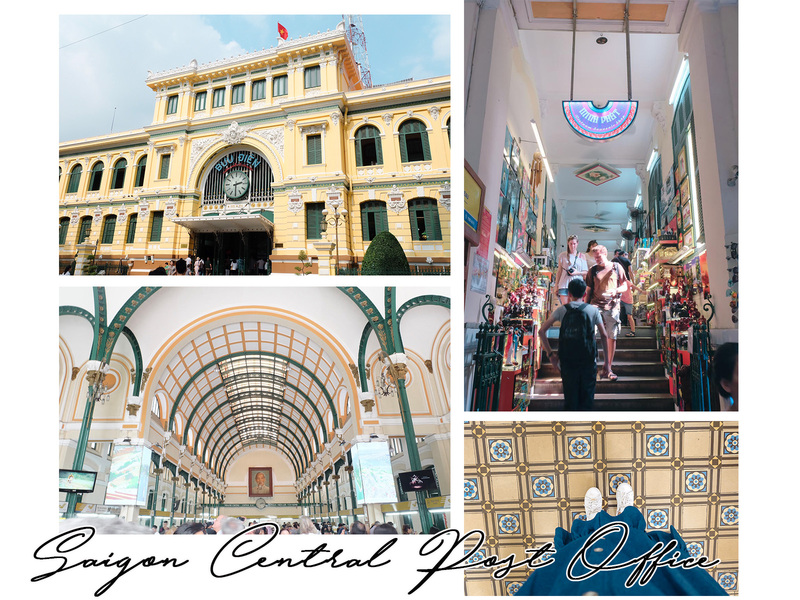 If you want fashion finds, then head to Saigon Square. Clothes, North Face and Kipling replicas are in better quality here than in Ben Thanh Market. 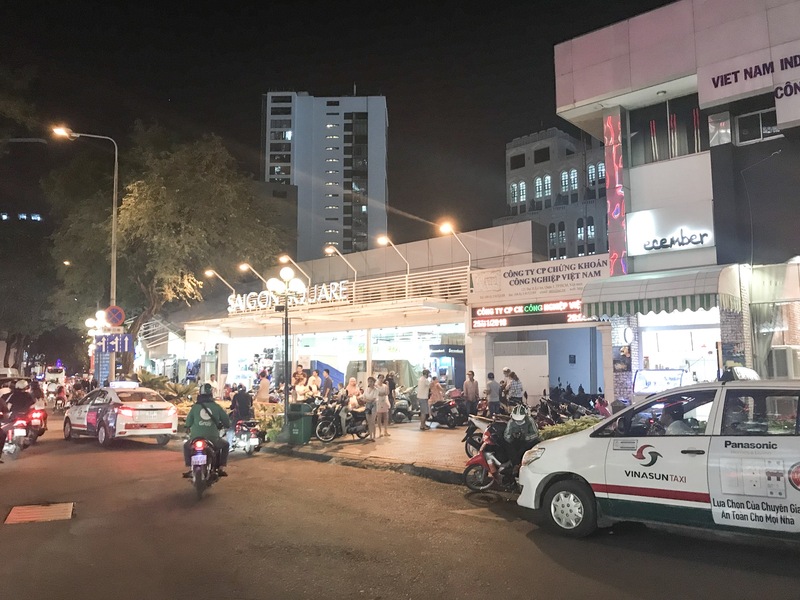 There are a lot of Saigon Square, I personally went to Saigon Square 1 which is just near Ben Thanh Market. 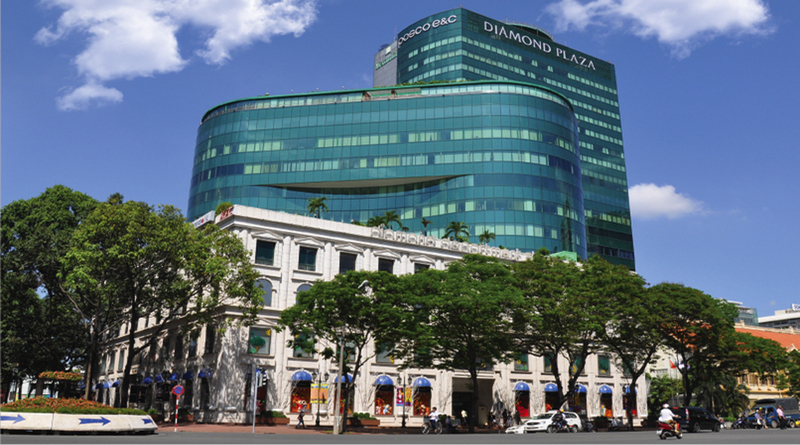 If you’re into luxurious things, then head off to Diamond Plaza, just beside Saigon Central Post Office. This is a 15-storey department store with high end brands, cinemas and restaurants. 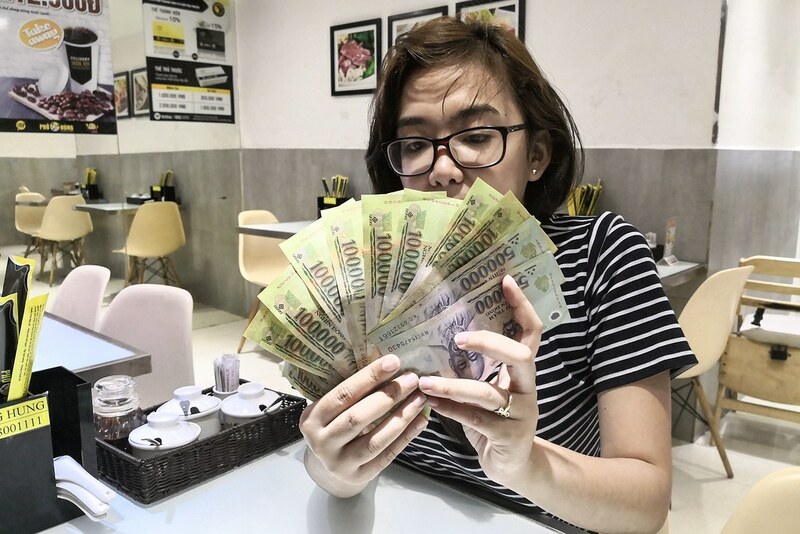 NEVER exchange your Philippine Peso to Vietnamese Dong (VND) here in Manila. US Dollars (USD) has better exchange rate in Ho Chi Minh. 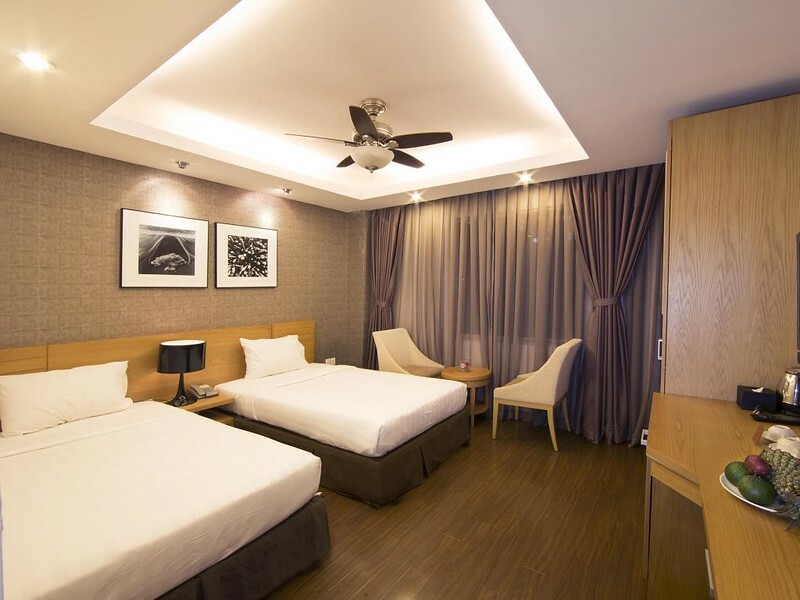 Cheap accommodations are usually found on the Backpacker's Street of HCM, Pham Ngu Lao. Most of the tourists are here too. Be careful and alert when walking around the city because motorcycles are everywhere, even on the sidewalks. Motorbike snatchers are also a thing. Food in Ho Chi Minh is as cheap as in the Philippines. The have a lot of street foods, snail places and artsy hole-in-the wall cafes. Avoid motorcycle tours where they'll even show you a notebook of their previous customers' reviews. Most of the scam stories in HCM are related to these tours. Most if the airbnbs I saw are on top floor of buildings without elevator. If you're not a fan of stairs (or with a big luggage), better stick with the cheap hotels.